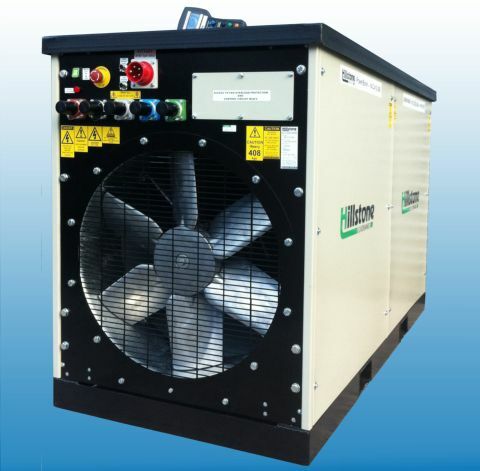 This range loadbanks are available from 5kW to 1200kW 3 phase, 380V to 690V, 50Hz or 60hz. 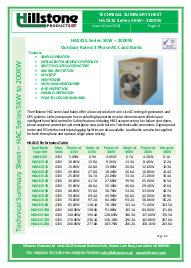 The load banks are available as a resistive design for unity phase load testing. 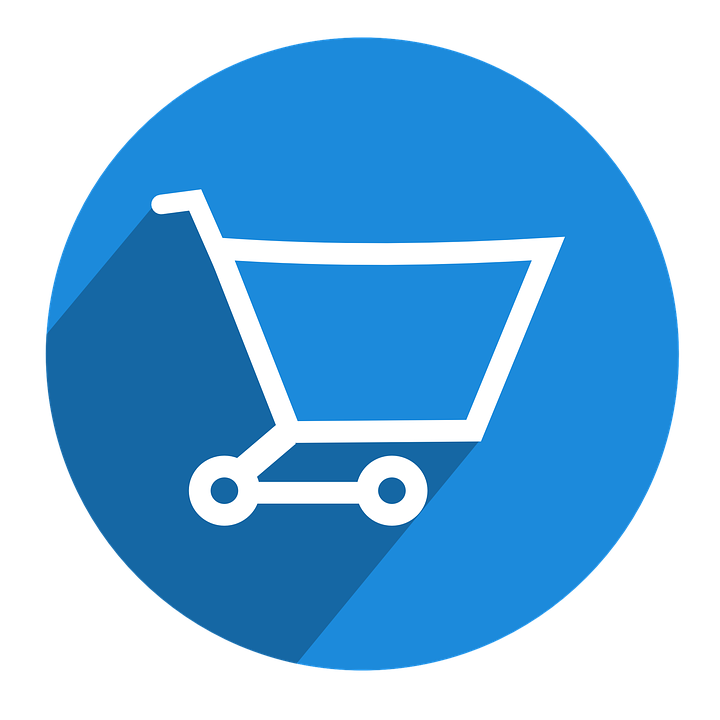 The outdoor designs for either portable or fixed installations can be supplied for 1kW switched load steps or to supply larger loading from 25% load step ratings of the generator. 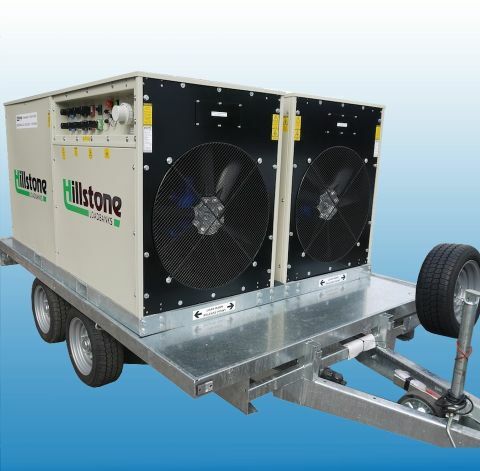 The Hillstone HAC series load banks offer a low cost solution to on-site AC testing of generators and UPS systems. 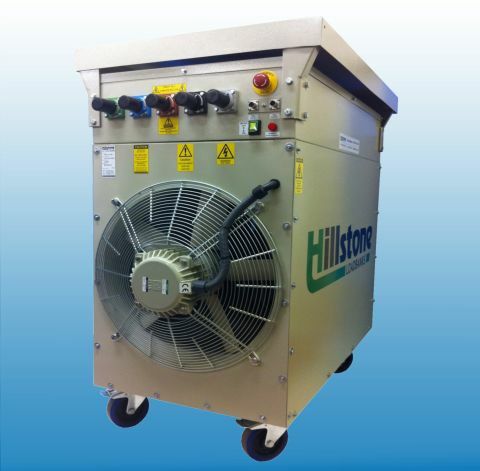 Units incorporate force cooled high powered resistor elements controlled via our intelligent hand held controller. Safety features including twist lock cable connectors, HRC fuse protection, fan failure shut down and emergency stop push button. 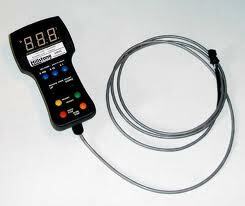 Digital meter and PC interface with data logging facilities are also available. Load banks can also be supplied for both three phase and single phase testing. The panel mounted digital power meter displays line volts, phase volts, line current, power and frequency. 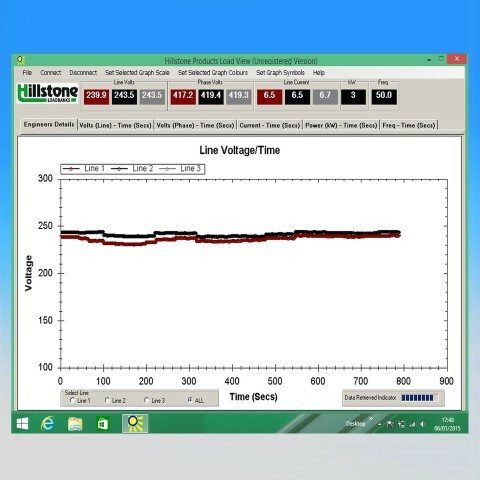 The PC interface and data logging software allows transfer and storage of test data to a laptop or PC using Hillstone software, The computer display includes line volts, phase volts, line current, power and frequency plus a real time graphical display. The optional iHHC3 ( intelligent hand held controller, issue 3) comes complete with the above panel mounted power meter and provides remote control and display of the load bank power level. 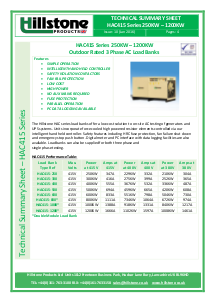 Load banks supplied with the iHHC3 incorporate smaller switch steps from 10KW to max power in 10KW steps. Switch steps down to 1KW are available if required. The iHHC3 includes a wide 175 deg viewing angle with a 4 line OLED display enabling excellent daylight readability. 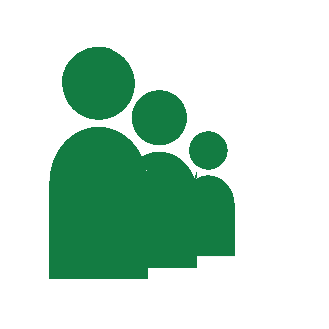 The hand held controller automatically identifies the number of load banks which are connected in parallel and displays the total KW load available. A maximum of 8 load banks can be connected in parallel.